Accidental awareness is one of the most feared complications of general anaesthesia for both patients and anaesthetists. Patients spontaneously report this failure of general anaesthesia in approximately 1 in every 19,000 cases, according to a report published today. 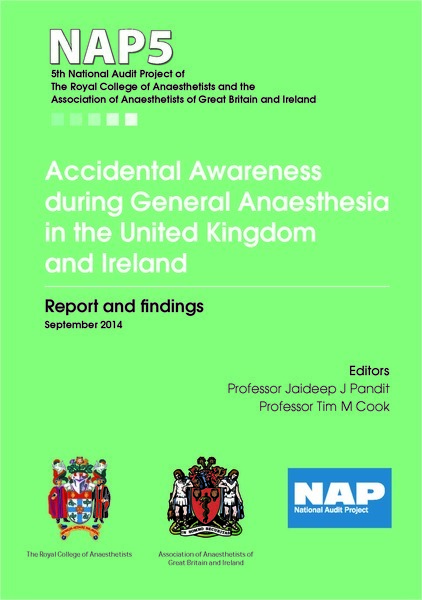 Known as accidental awareness during general anaesthesia (AAGA), it occurs when general anaesthesia is intended but the patient remains conscious. This incidence of spontaneous patient reports of awareness is much lower than estimates of awareness when patients are specifically asked about it after anaesthesia, which are as high as 1 in 600.